It was always a bit of a conversation stopper – I got cancer. I was also lucky, my bladder cancer was low grade and they found it early, but it was caused by smoking. I was never a heavy smoker, and had given up 5 years earlier to have kids… apart from the occasional drunken lapse. That was still enough. At that stage my wife was 8 months pregnant. I always wondered how smoking caused bladder cancer. The toxic chemicals from the cigarettes bubble away in the piss in your bladder and start the cells of the lining mutating. Nice. No matter how enjoyable that cigarette is, I guarantee it doesn’t balance out sitting in a doctor’s waiting room wondering if you’re going to die. And how to tell your children. 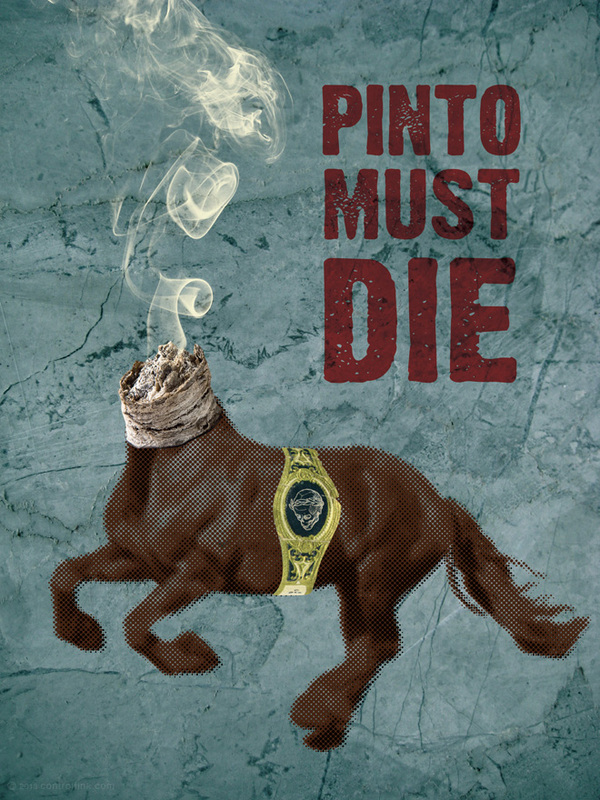 One of my first reactions was this personal anti-smoking poster for my cuz, and good mate, who had also given up but whose taste in relapses was pinto cigars, evil and unfiltered. cancer | smoking | comments?